From the onset of Adar one should magnify his joy. (Mishenichnas Adar marbim b’simcha.) If a Jew has an alter-cation with a non-Jew he should take him to court during Adar since it is an auspicious time. The Ohev Yisrael, zt”l, writes that the word “b’simcha” has the same numeri-cal value as the word “shana,” year. The more b’simcha, joyous, one is dur-ing Adar, the more joy one will experi-ence the entire year! The Chidushei HaRim, zt”l, states that just as we go into the illumination of Tishrei through Elul, we attain the dveikus, or intimate connection with Hashem, of Nisan through Adar. In Adar, our repentance is born of love and is stronger than the teshuva of Elul which is rooted in fear. The Divrei Shmuel explains the deeper meaning of the preference to take a gentile to court during this month. On a deeper level, this refers to judging the non-Jew within us which is the aspect of Amalek within. One who has difficul-ty struggling with the negative inside himself (and who doesn’t in our gener-ation?) overcomes this with much greater ease during Adar. 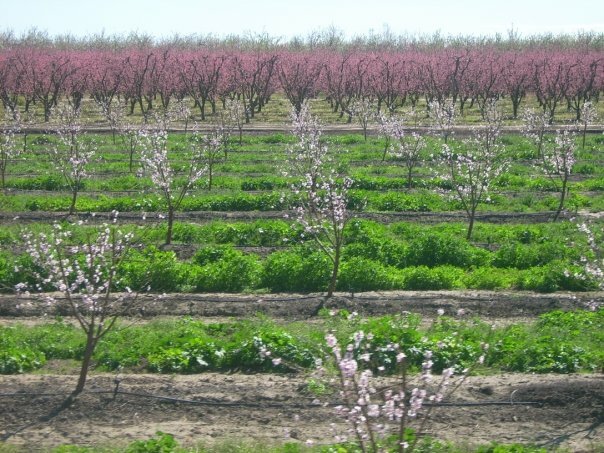 Chazal say, “One who wishes to pre-serve his property should plant an Adar on it,” which could mean either planting a type of tree known as an adar, which is usually understood to be a maple, or to plant the tree during the month of Adar. As it says in Tehilim (93:4,) “Adir bamarom Hashem”—“Hashem is All Powerful on High.” But what does the verse have to do with securing one’s material wealth? The Chashva L’teshuva, zt”l, explains that the needs of every Jew are allocated from heaven. The reason why people lack is because their heavenly allot-ment is being withheld. What should one do to avoid losing out, then? “Plant an adar.” Adar refers to one who is steadfast as a mighty maple in his faith that Hashem is All Powerful! Once, two friends met and one com-plained to the other that things were very difficult financially. He was literal-ly at the end of his rope and didn’t know what to do or where to turn. “But that is one of the most difficult things to do! How can I possibly work towards such a lofty goal?” complained the disgruntled man. “Nu, what won’t people do to make a living?” his friend answered. I: Rav Nosson of Breslov, zt”l, writes that every human being is always longing for Hashem. A Jew’s longing for connection to Hashem is even more powerful. Usually, this longing gets channeled into other areas. People mistakenly think they yearn for money, honor or physical pleasures such as food. Attaining these never satisfies in a lasting way however, since the source, the inner desire for closeness to Hashem has not been addressed, just stifled. On Tu B’Shvat the sap begins to rise in trees. It is partially due to this process that the tree later develops in the spring. This is why it is Rosh Hashannah for trees. The verse states, “Man is as a tree of the field.”The “sap” of each person is the hidden inner essence of each person, their fiery longing for Hashem. Like the sap of trees, the inner essence of each person is aroused on Tu B’Shevat. Connecting to our inner longing is the prerequisite for all spiritual growth. This is one reason we eat fruits on this holy day. We acknowledge the correlation between bearing spiritual fruits and arousing our powerful yearning for Hashem. The more we connect to our powerful inner longing for Hashem, the more spiritual fruit we will bear in the coming year. The less we connect, the more this longing will be misdirected towards the material and the less spiritual growth we will yield. It is our choice. May Hashem help us to grow and thrive, and bear an abundance of spiritual fruit. II: On the subject of Tu B’Shevat, the Chidushei HaRim, zt”l, shares a very powerful concept: the “new year’s” judgment of Tu B’shvat primarily determines one’s access to novel Torah concepts (chidushei Torah) for the upcoming year. In light of the previous weeks’ Halacha series dealing with what one is permitted to prayer for on Shabbos, it is in permissible to prayer for meriting a Mehudar Etrog for the upcoming Sukkos, following that which is written in the Sifrei Hakodesh about Tu B’Shvat being an auspicious time (Mesugal) for praying for such an Etrog. “… Borei Pri Ha’aetz” when eating either the flesh or the rind of the sugared Etrog. We do not however make a Shehechiyanu on the Etrog for numerous reasons brought by the Poskim. One who eats the fruits before the Seudah, needs to make a Bracha Achrona (after blessing) – Birchas Hamazon does not cover his obligation. If one commences the Seuda and forgets to make a Bracha Achrona, he must make a Bracha Achrona during the Seuda and even if he forgot and made Birkas Hamazon, he is still obligated to make the Bracha Achrona afterwards. One who eats the fruits during the Seuda, needs to make Bracha Rishona over the fruits then, but should not make a Bracha Achrona, as it will be covered by his Birkas Hamazon. One who eats the fruits before the Seuda with the intention of eating the same fruit during the Seuda as well, should have in mind when he makes the blessing before the Seuda to cover the fruit during the Seuda as well. That being the case, he should not make Bracha Rishona for the same fruit during the Seuda and also should not make a Bracha Achrona on the fruit that he ate before the Seuda, as it too will be covered by his Birkas Hamazon. One who eats various types of food, should ensure to make the blessing on the most important fruit among them, as is decreed by Chazal. There are may laws associated with this, so we will mention only those laws relevant to Tu B’Shvat itself. One should know that this order of precedence is only related to which fruit to make the blessing on first. However, once the blessing has been made, there is then no specific order as to which of the remaining 6 fruits one has to eat. Nor is it a requirement to eat all of the specific fruit on which one has made the blessing – rather, one only need taste a little of that specific fruit before moving on to the other fruits. Note: If one wishes to drink wine, its blessing takes order of precedence over the 7 species.